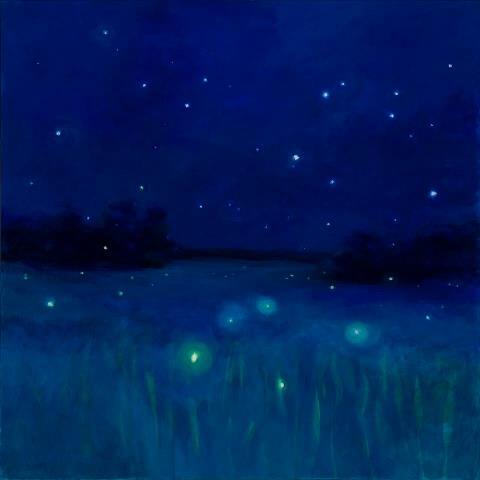 This is a recent painting called “Constellations” by Westbrook native Andy Curran, who runs the Saccarappa Art Collective gallery right on Main Street. He’s an accomplished artist whose work you have probably seen for years on his Dog Star Creations cards and prints. This wonderful collective of southern Maine artists is host to Lowry’s Lodge, a poetry reading series run by Andy and the dynamic poet duo Anna Wrobel and Jim Donnelly. This series, one Saturday evening a month, has been packed with attendees ever since it began. It’s a great space to see ever-changing art, hear poetry and mingle with fellow art and poetry fans. You might not know that Westbrook, besides being handily 5 miles from Portland and boasting a number of interesting, eclectic restaurants, is enjoying an arts boom. Acorn Theater is in the former Dana Warp Mill (and puts on summer productions in Riverfront Park), the art gallery is thriving, and the town is home to a number of artists and last time I counted, at least seven poets. One more fun fact about Westbrook – it’s where Rudy Vallee was raised (and laid to rest) – a hugely popular star in his time. Consider coming to Westbrook for a play, live music at the Frog and Turtle, an art gallery opening, an event at Walker Library, or a poetry reading. Posted in Uncategorized and tagged Acorn Theater, art, Frog and Turtle, gallery, poetry, Rudy Vallee, theater, Westbrook. Bookmark the permalink. Yes, this blog is mostly about poetry and books, but the real world intervenes sometimes and cannot be ignored. 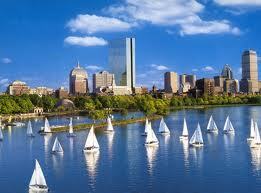 Yesterday’s heinous attack on Boston (my birthplace) resonates with me. When I lived there, Patriots’ Day was my favorite day, far more so than St. Patrick’s Day. Just about everyone had the day off, you could go watch the Marathon and cheer the runners you knew and the thousands you didn’t, the Red Sox played at Fenway–it was a big city-wide party, but a controlled one, without a lot of drinking and misbehavior. Whoever bombed the finish line has taken a fine city’s innocence. People won’t feel safe at the Marathon or other big gatherings, at least for a long time, until memories fade. Our vulnerability to this kind of senseless violence is painfully clear. Yes, Bostonians have stepped up to help, and Boston will go on, as New Yorkers have soldiered on since 9/11, but it won’t be the same carefree place. To change the subject, National Poetry Month chugs on, with dozens of events just here in little old Maine. On Saturday I’m going to the Plunkett Poetry Festival at UMaine-Augusta, always interesting. Saturday night there’s another chapter of Lowry’s Lodge, the hip poetry reading series at the Saccarappa Art Gallery in Westbrook. This is such a great venue – snazzy art, good poetry, food and drink, the company of other poetry and art lovers. I post events on the Moon Pie Press website and usually on the MPP Facebook page. I hope you get to some of the many stimulating poetry happenings this month. National Poetry Month – poetry everywhere! 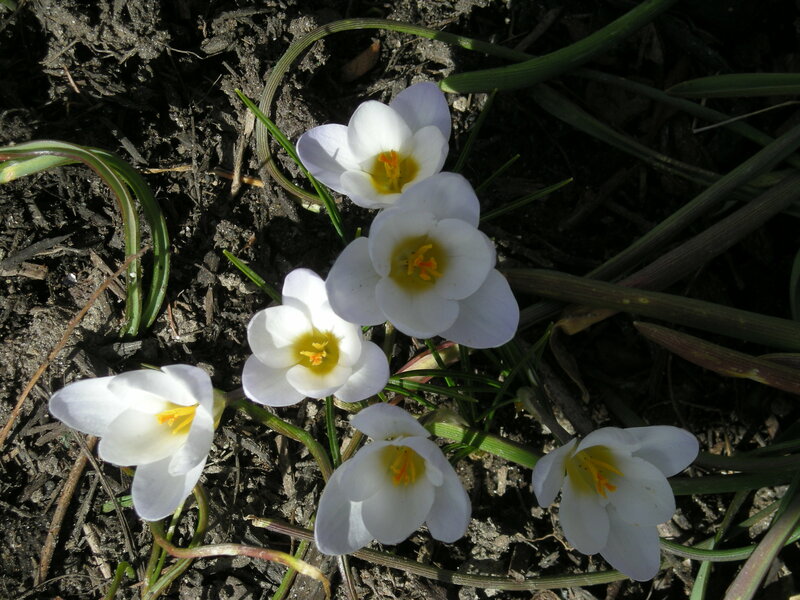 It’s still cold here, but there are definite signs of spring – crocus, snowdrops, and the calendar is jammed with poetry events, as always, this month. One example: I’m going to poetry events FOUR DAYS IN A ROW coming up – Saturday at the Westbrook Library, Sunday in Tenants Harbor, Monday with Casco Bay H.S. students, and Tues. night at Bull Feeney’s in Portland. (I’m reading at two of these events – most unusual to be this busy.) Our calendar at http://www.moonpiepress.com lists a lot of events, and the Maine Writers and Publishers Alliance (www.mainewriters.org) has even more, from all over Maine. I hope you can get out and enjoy some of these readings and celebrations, because there is certainly something for everyone.